This one-of-a-kind artifact museum is located on the south end of the public parking lot at Yankton Fire Station #2. 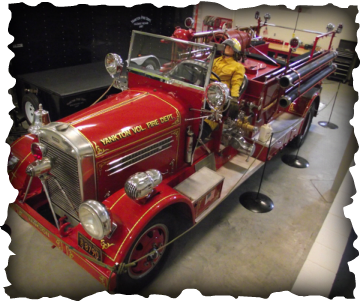 It houses a 1937 Luverne fire truck that was purchased brand new by the City of Yankton and has been restored to it's original condition. A 1930's LaFrance fire truck is also displayed in it's current condition. 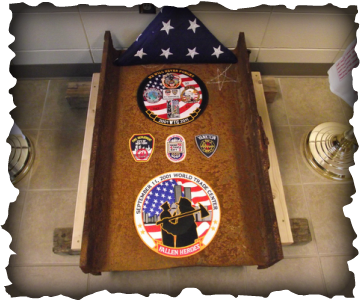 The museum is also home to a piece of steel from one of the towers at the World Trade Center that fell in New York City during the attacks on 9/11/01. Other artifacts, including a 19th century hand pulled hose cart, are shown at the facility. The public is encouraged to visit the museum.